Have you ever considered investing in stocks or company shares? Have you hesitated to invest because you found stocks confusing, or did you invest and burn your fingers? In this article, I show you how you can learn about investing in stocks so that you can invest intelligently rather than speculate blindly as many people do. Please CLICK HERE to watch on YouTube. There are numerous ways to begin learning about the stock market. With just a bit of research, it becomes clear that there is loads of date available on learning about the stock market. Probably the first place to go when learning about the stock market is the Internet. You can get a lot of initial information online. There are hundreds, if not thousands, of sites dedicated to the stock market and investment strategies. The stock market is probably one of the biggest topics on the Internet. Of course, when learning about the stock market, you want to be certain that all of the information you are gathering is technically correct. Believe it or not, not all of the information on the Internet is correct. Imagine that, right? So, to help guarantee that the things you are learning about the stock market are correct, go to both the Nairobi Stock Exchange and the capital markets authority websites. Also, learn what you can from brokerage sites. You are familiar with the names of the big brokerage firms; you see them on television and in advertising all of the time and they are listed on the Nairobi Stock Exchange website. Some of the information they provide will help you in learning about the stock market. You can also go to the online booksellers and look for titles on learning about the stock market. There will probably be plenty more titles on learning about the stock market. If you find a disparity between what the books tell you and what some of the Internet sites tell you, go with the books. Be sure to check the social networking sites when learning about the stock market as well. You will find a lot of information about the stock market and personal finance at places like YouTube, Facebook, and Twitter. Please CLICK HERE to watch on YouTube. One of the things you might find helpful when learning about the stock market is a stock market time line. There are a variety of these time lines available. They have an on-going record of the most important events in the history of the stock market since it began to present day. Information available from the Nairobi stock exchange includes market statistics, listed company information, details about regulatory framework and data products available from the NSE. It would probably be a good idea to narrow your search, even initially, so that you do not become too inundated with information. When learning about the stock market, you may want to approach it one subject at a time based upon what information most interests you or what information you need to develop. Please CLICK HERE to watch on YouTube. 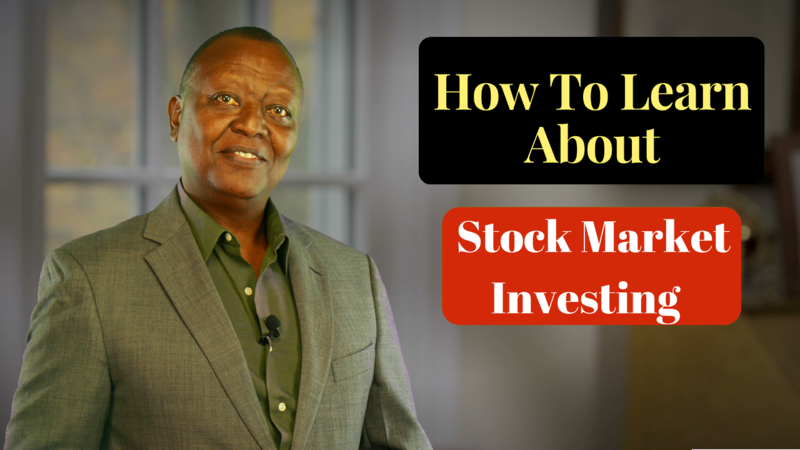 Besides simply learning about the stock market, you can go even further and learn how to become a successful investor from the many sites that teach stock investment strategy. No matter what your reason, I am sure that you will find learning about the stock market to be a rewarding and challenging project. This project can lay the foundation of a rewarding lifelong habit of investing to grow your wealth. Best of luck!